For the past couple of years, The CW has been busy building a shared universe featuring a wide array of DC Comics characters, spinning off from its successful introduction of Arrow. However, while that show has proven to be the foundation upon which spinoffs like The Flash and the upcoming Legends of Tomorrow are built, its star has been earning a reputation far beyond the reaches of Starling City. Stephen Amell - who plays Arrow's heroic Oliver Queen - attended a WWE event on Memorial Day 2015 and ended up coming face to face with WWE's own Stardust. The rivalry has since continued, with the wrestler even "borrowing" Amell's memorable Arrow line "You have failed this city." Now, following some harsh words from both Amell and Stardust over Twitter in late July, it appears that the two are ready for a showdown. This 'conflict' between Amell and Stardust is no doubt a promotional stunt, but it's hard to argue with just how effective it may be for drumming up media interest in both parties. In the right hands, social media is an incredibly useful tool to build buzz for any kind of event, and Amell and Stardust have taken full advantage of their Twitter accounts to build up this ongoing narrative between the two of them. An epic showdown is the perfect way to cap it off. What remains unclear about Amell's appearance on WWE Raw is whether he'll show up in costume. Considering that both his tweet and the WWE's feature him donning his Arrow ensemble, it's a strong possibility. Moreover, the event would be a great opportunity for him to show off Oliver's new costume. Plus, considering the fact that the wrestling world is ripe with over-the-top personalities and outlandish costumes, Amell will miss a rare opportunity if he doesn't bring Oliver Queen gear for his face-off with Stardust. 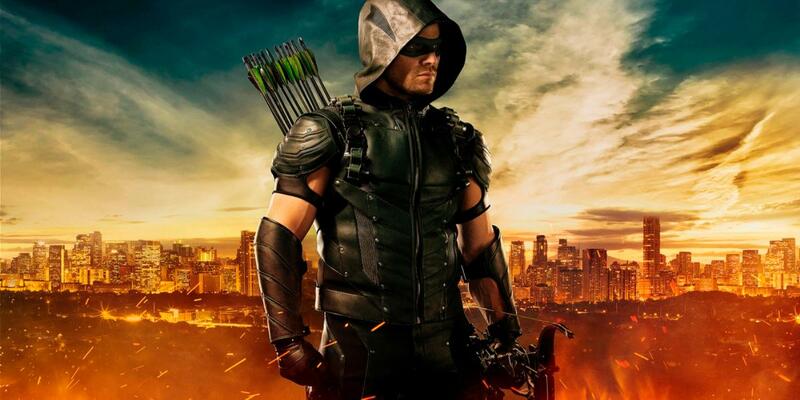 Arrow season 4 begins on The CW on October 7 at 8pm. The Flash season 2 starts on The CW on October 6, followed by the series premiere of Legends of Tomorrow in early 2016.